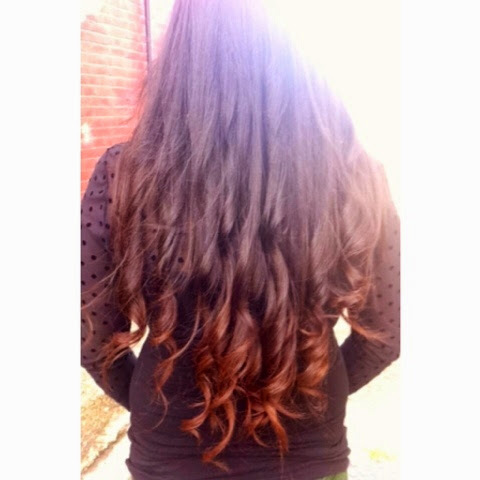 So the other day I dip-dyed my hair with my friend at home. You really do not need to go to the hair dressers and spend a lot of money on this. I would recommend using bleach if you have very dark hair like me. However, you can do it without it, but the colour of your hair may not look exactly like the colour shown at the front of the pack of dye. The hair colour I bought wasn't L'oreal Paris and the colour of the dye was auburn. 3) Take thin strands of hair and cover them with bleach. Start from the bottom of the strands of hair and leave the bleach for approximately 5-10 minutes. You then do the same for the upper part of the strand of hair. How far up you want to go is up to you. 5) For best results, cover the bits with bleach on with aluminium foil. Careful, it is important that you don't leave the bleach on for too long as it is very damaging and can even lead to your hair reason off if you leave it for too long. Read the instructions carefully and don't leave it on for longer than they suggest on the box. 6) Wash the bleach off without using any products. 7) Then repeat steps using 1-6 but instead of using the hair bleach use the dye. 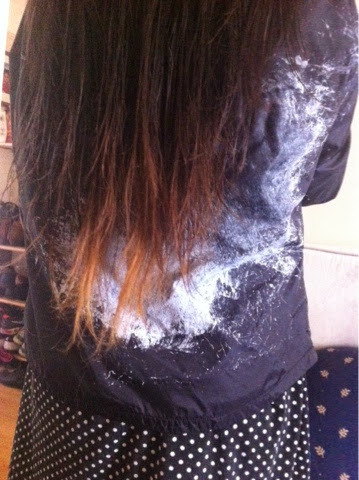 8) Then wash it off after leaving it for a while. This was the end result after dying, blow drying and curling my hair. It looks darker than the colour Auburn in this picture because it was immediately after dying it. The colour will evoke Mre vibrant after a few days so don't be worried if it looks a little different than it should be! Jessie J leaked her own song....oops!